As an independent insurance advisor, we work for you. We're committed to helping our clients understand what the best possible coverage is for them, then obtain the best price. For most of us, life is a complex mix of personal and professional priorities. From safeguarding your family and assets, to assuring the well-being of your business and investments, we'll customize an insurance solution to protect your world. We are also committed to the community we serve. 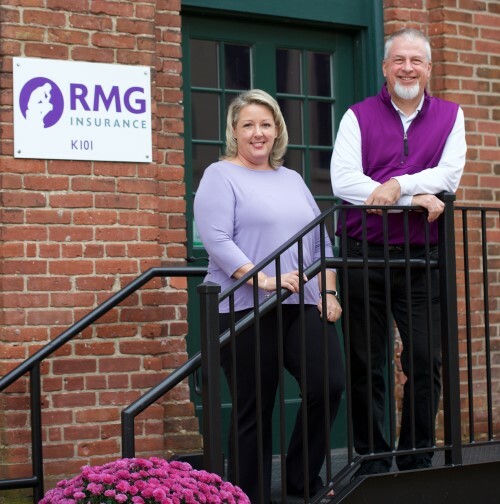 RMG, its owners and staff support numerous community and non-profit organizations in the Delaware and Lehigh Valleys. We serve on boards and committees, back fundraisers, and volunteer our time to our clients and their organizations. Our charge is the growth and overall health of their missions. We don’t just provide insurance, we provide peace of mind. We are the trusted advisors of our clients. We work closely to make sure that all they have worked for and accumulated is protected. By educating you rather than selling you on the various insurance solutions that are available, you can make an informed decision on your insurance purchases. Our clients understand that proper protection is not always the cheapest. And that by spending some wisely in the short term will provide protection dividends in the long term.